In Support of the yesterday’s PM Modi Announcement regarding 500 and 1000 ₹ Notes,Which won’t be accepted for payments w.e.f. 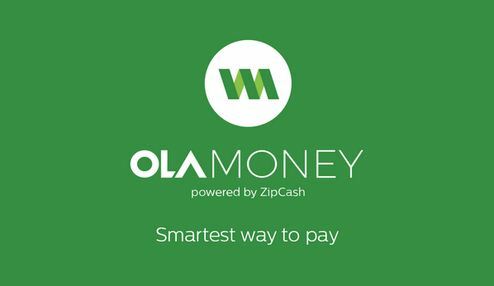 from 9th Nov 12 am,As an outcome of this decision, OLA drivers will also not be accepting the 500 and 1000₹ Notes for payments,In order to Minimize the inconvenience caused to the users from this decision OLA has announced an amazing offer for its users ,where users just need to load 500₹ to their ola money wallet and get 1000₹ in their wallet,OLA Money can be used for any transaction where ola money is accepted,for Booking OLA Radio cabs,buying items,Making recharges and so on. OLA offer Radio TAXI Facilities for almost all the cities across India,users just need to Download the OLA Cab app and turn on their location,make a booking for cab and enjoy their ride,users can make the payment after ride completion via cash or directly via OLA Money ,here are the steps involved. –Add the money and get 1000₹ paying just 500₹.